…And We Are The Magicians!! There is a twinkle of curiosity in their eyes and everything looks bright and enchanting to them! Colours, sounds, sights, nature, everything appears magical to them. And then suddenly one day, as one grows up, the magic stops! The human body is magical. Whatever we smell, taste, see, touch, hear is also magical. Somewhere we have forgotten the magical part in the name of reality. We are missing the magical moments in our rush to achieve. 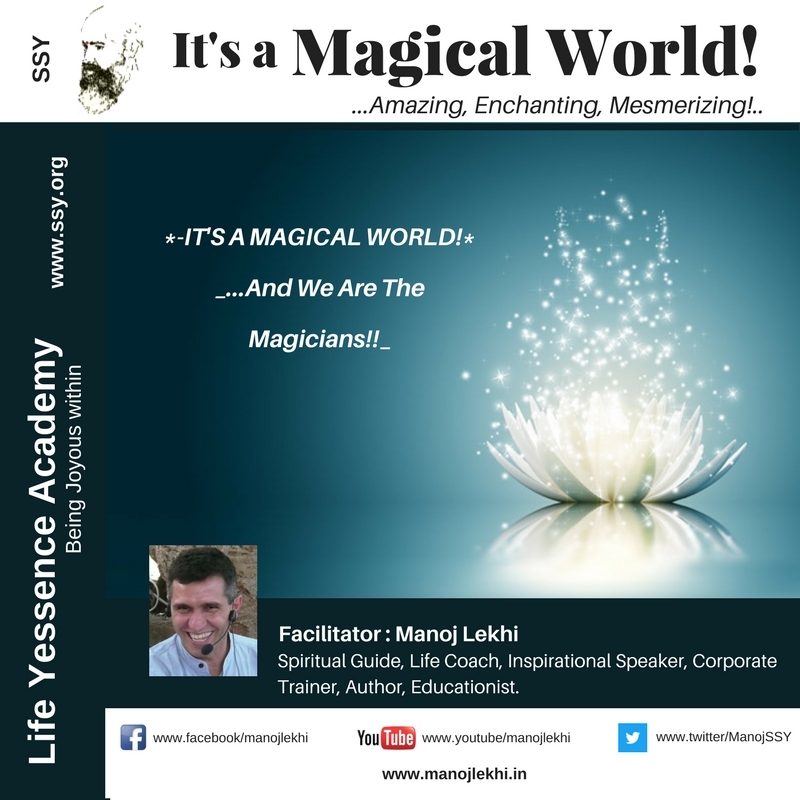 The workshop is all about how to get back the magic in our life. Each of us is Aladdin with a magical lamp and a Genie at our command. Let us use the power of our subconscious mind, our very own Genie and create magical moments in our life!